In commemoration of AfriCOBRA’s 50th anniversary, Kavi Gupta is pleased to present AfriCOBRA50, a landmark exhibition of original works by the work of the five founding members of AfriCOBRA—Gerald Williams, Wadsworth Jarrell, Jae Jarrell, Jeff Donaldson, and Barbara Jones-Hogu—as well as a select group of peers who influenced or were influenced by AfriCOBRA, including Carolyn Lawrence, Bernard Williams, Calvin B. Jones, Sherman Beck, Shahar Caren Weaver and Robert Paige. The exhibition is curated by Gerald Williams. The year 2018 marks the 50th anniversary of the founding of AfriCOBRA (African Commune of Bad Relevant Artists)—the black artist collective that defined the visual aesthetic of the Black Arts Movement of the 1960s and 70s. Following the completion of the Wall of Respect, some of the artists involved with the project began having casual get togethers to discuss aesthetics and contemporary black culture. Those early meetings included Jeff Donaldson, Wadsworth Jarrell, Jae Jarrell, Barbara Jones-Hogu and Gerald Williams. Also sometimes present was Robert Paige, in whose home some of the gatherings took place. Over time, five other artists— Nelson Stevens, Napoleon Jones-Henderson, Carolyn Lawrence, Frank Smith and James Phillips—joined the group. 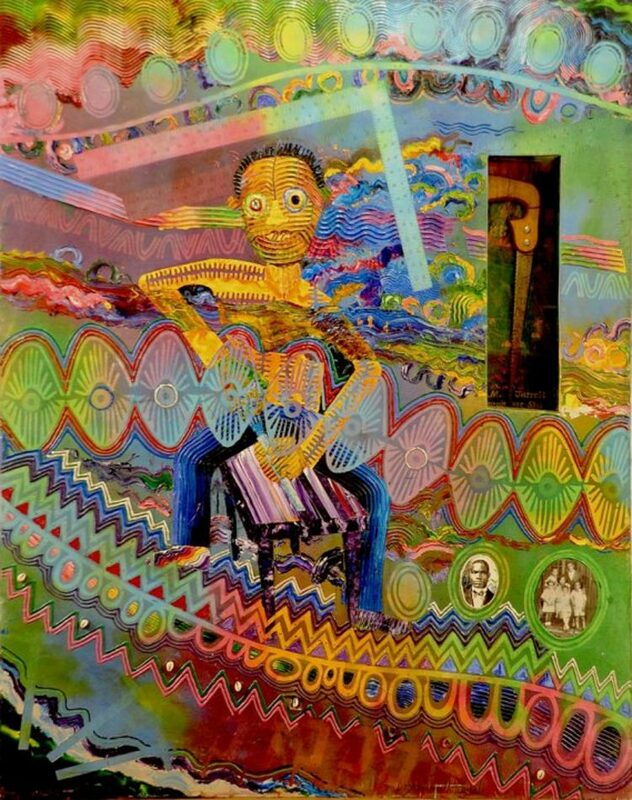 Each AfriCOBRA artist then translated these ideas into physical form, and the group exhibited this work in a series of exhibitions that traveled the United States. The work spanned multiple mediums, including drawing, painting, sculpture and fashion, and the exhibitions attracted nationwide attention. By the time AfriCOBRA I reached the Studio Museum in Harlem in the early 1970s, the aesthetic language the group had created had caught on like wildfire. During these early exhibitions, AfriCOBRA members noted that many viewers were unable to afford the art. In response, they made posters of their most popular paintings, reiterating their belief that art has to relate to everyday people if it is going to be effective as an impetus for social transformation. Although AfriCOBRA ceased exhibiting together in the 1970s, most members continued in their art careers. Some have since passed away, but many are still active in their studios today. Their work continues examining the evolving nature of how transnational black aesthetics relate to culture, politics, and identity. It is at this vital moment in history that we present AfriCOBRA 50 at Kavi Gupta. The exhibition builds off of our recent solo exhibition of the work of Gerald Williams, and our recent inclusion of works by Williams and other AfriCOBRA founders at Art Basel Hong Kong, Frieze New York, and the Armory Show. It is our hope that this pivotal exhibition will spark continued interest in this extraordinary group of artists, and will expand the larger, international conversation about the Black Arts Movement, which is so critical to our understanding of the contemporary aesthetic of the African diaspora.